If you own or operate a small to medium-sized business, you know perhaps better than anyone that in the course of any given day there are hundreds of things clamoring for your attention. Unfortunately, while you attend to operations, things like managing the financial aspects of your business often get pushed to the back burner in that place commonly known as "Someday Isle." If you can identify with this all too common situation, you're in for good news. Banks and other financial institutions are pressing their desire to help you better manage your credit by providing business credit cards. Further, the effective use of these cards can make a big difference in the shape of your credit as long as you manage them effectively. Doing that is the purpose of this article. Protecting your good business credit is imperative to the effective operation of your business. This centers mainly on having business credit cards and making sure that they are paid for regularly and on time. 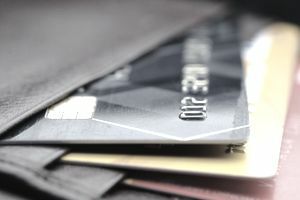 Unlike personal credit, having multiple credit accounts can be good for your credit standing since it shows your ability to manage your accounts effectively. Obviously, this is all recorded with the major credit reporting agencies, which also helps you. The most important part of managing your business credit cards is to avoid co-mingling. This means not to mix the financial affairs of your business and that of your personal life. Also, keep good records of your business financial dealings, which can be significantly helped by using the monthly reports provided by your business credit cards. While it might seem at first like a trivial matter, in many ways your mail is the lifeblood of your business's finances. This is especially true when you consider that this is primarily where you get both your bills and your bank statements. And in your bank statements will naturally come your credit card statements. It might seem easier said than done, but you should plan on reviewing your business credit card statements as soon as possible after you receive them. Most business owners and managers put this off, thinking that everything contained in these documents is correct. The trouble is that often it is not, and this could spell bad news for you if they are not. Fortunately, when there is an error, you can normally get it taken care of with a phone call or a visit to your bank. Credit card companies are in business to make money, just as you are. For this reason, they offer incentives for you to use your business credit cards. These usually vary according to the business you are engaged in, but regardless of this, you should be on the lookout for them to take advantage of them. These might range from free or discounted office supplies and equipment to airline tickets or mileage. Whatever they are, you should make sure you know about them and take advantage of them if they will benefit you. Too often business owners allow things like airline mile benefits to get past them only to find out later that employees have used them to their personal advantage. As the owner of the business, these benefits are yours to enjoy, not your employee's. One of the most important traits of business owners and managers who keep their business in the black is their ability to manage their cash flow. This might seem like a trivial matter, but it is not. Bad cash flow will force you out of business just as fast as many other things. Fortunately, business credit cards can benefit you in two major ways in this regard. First, and most obvious, is the fact that business credit cards can put you over the "hump" when cash is too short. Also, the monthly accounting provided with your business credit cards can show you not only what you have spent and when, but also can issue red flags where they might be a problem, such as when an employee is overusing or misusing their card. Your monthly report can show you these issues long before there is a problem.